Permission has been granted for a company to start extracting iron from the hills above Almeria. The company expects to be exporting some 4 million tons of iron a year by 2017. The trouble is that the company, Minas del Alquife S.L., wants to connect the new mine to Almeria port by train, but the townhall has said it will only permit this if the trainline goes underneath the city, which will be a huge cost for the company. However, the city says it will not permit the seafront roads to be diverted and a train line installed, as it would “ruin” the front of the city. Minas del Alquife is reopening the old iron mines at Comarca del Marquesado del Zenete, on the border between Almeria and Granada above the city. The mines were abandoned decades ago, but modern technology means the mines should be profitable once again. 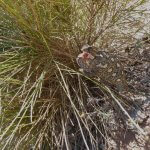 This entry was posted in Blog and tagged almeria, Comarca del Marquesado del Zenete, iron, mine by David. Bookmark the permalink.